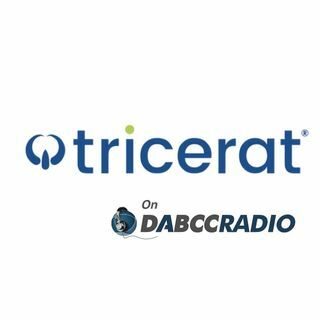 In episode 297, Douglas Brown interviews Andrew Parlette, CTO at Tricerat. Douglas and Andrew discuss Tricerat’s NEW Simplify Driver Management solution. Andrew explains the why and how relating to their new print driver management tool, plus a bit about what we can expect in the future too. Eliminate print servers for your workstation printing needs. Route traffic directly from workstations to printers, reducing network utilization. All from a single, ... See More drag and drop console for true enterprise printing. •Simplify Driver Management: Eliminate Print Servers - Remove your resource-heavy print servers, and route printing traffic for workstations in the most efficient way. •One console to manage all printing - Route traffic directly from workstations to printers, reducing network utilization all from a single, drag and drop console. Tricerat believes in empowering IT staff to produce more effective work in less time. With our simplified deployment, we help guide your strategy to produce a rapid ROI. •Direct IP printing for a desktop heavy environment - In environments that are either desktop heavy and/or have remote locations without print servers, Simplify Driver management is ideal. Direct IP printing is inexpensive, will reduce network bandwidth consumption, and reduce the amount of support staff needed. •Assign printers through active directory or IP range - Simplify Driver Management allows for printer assignment via AD or a specified IP range. This enables your team to quickly deploy with control, while maintaining a consistent experience for end users. Andrew holds a Bachelor’s degree in Computer Science from the University of Maryland, College Park, and has been with Tricerat since 1999. Andrew started out as a software developer, and moved his way up the ranks to his current role as CTO. Throughout his roles at the company, Andrew remains focused on the creation of outstanding software solutions and delivering excellent service to our customers. As CTO, Andrew is the guiding force behind Tricerat’s technical capabilities, directing teams of software developers, testers, and support technicians in order to stay on top of the changing world of virtualization and end user computing markets.